Dog Breed Coasters with Dog Breed artwork showcase your favorite Dog Breed and are made of durable mouse pad material. Perfect underneath your favorite mug. 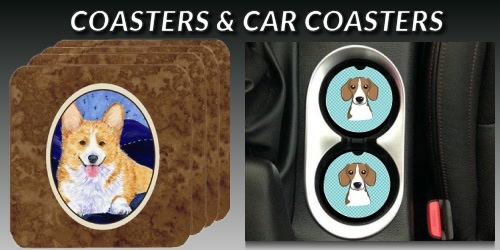 Car Coasters made of absorbent sandstone make a great dog breed accessory for your vehicle or car.